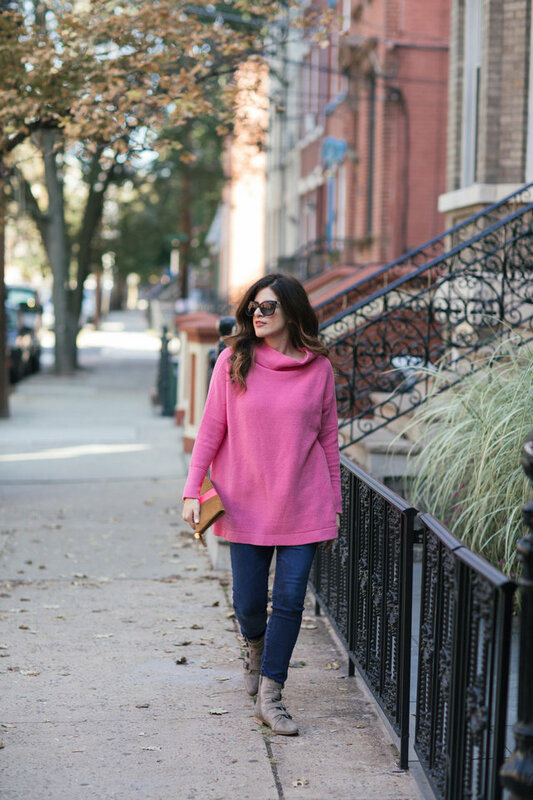 the sparkly life: I Love This Giant Pink Sweater! 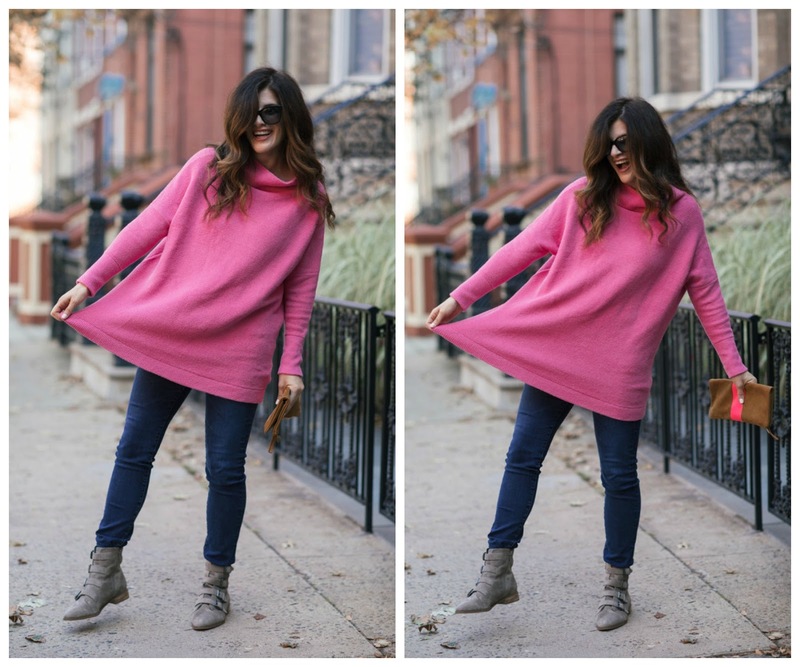 I Love This Giant Pink Sweater! Here in NYC, the weather finally turned cold yesterday (even though it's November). And while I'm not typically a fan of the cold, I am a fan of sweaters. So, bring. it. on. 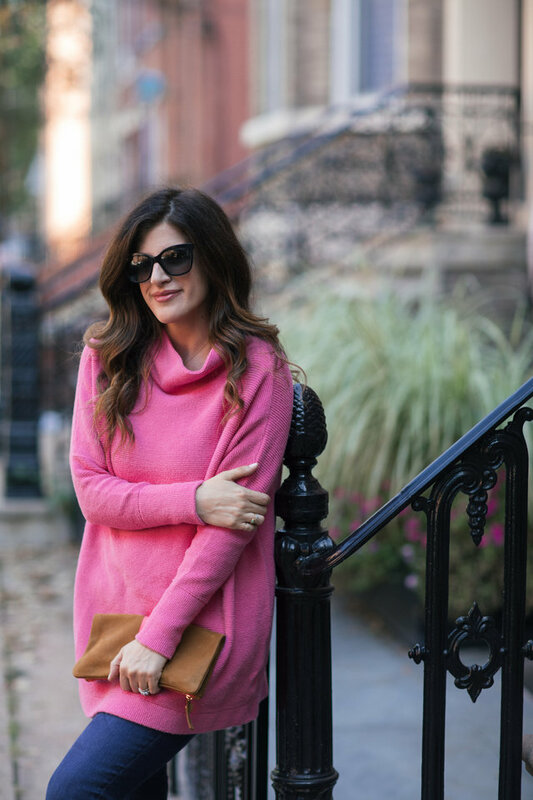 LOVE this sweater in this color! And your hair looks amazing. That sweater is everything!! I would like one in black, please. ;) So comfy looking!! I am NOT a pink fan. It is not my color at all. But, I love the shape and look! I want a comfy sweater like that! And Nine West can be a good brand. 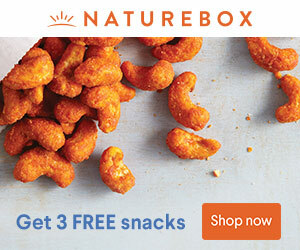 You just have to look. I love oversized sweaters! The color of this one is fabulous!